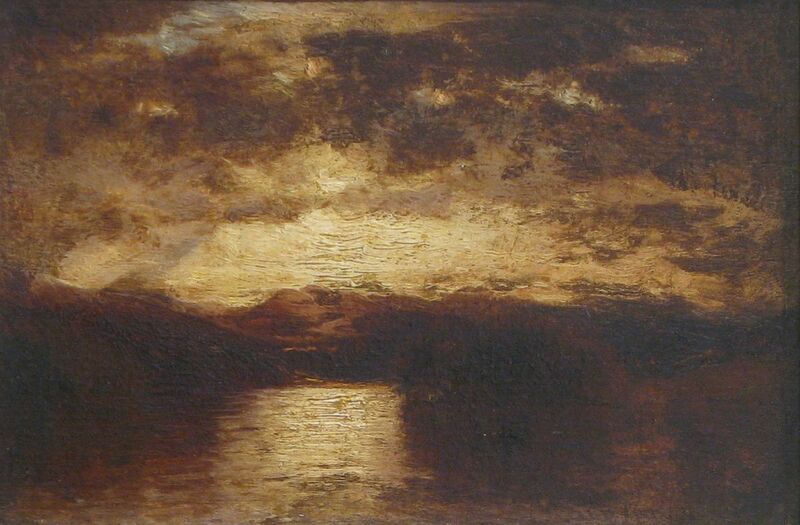 Samuel Colman's Lake George combines a New York subject, typical of the Hudson River School, with the brushy impasto technique and limited color palette inspired by French Barbizon painting. His preoccupation with golden light and shadow effects indicates Colman was not a strict adherent of Hudson River School naturalism, but an innovative landscapist with cosmopolitan influences. Colman's early style was influenced by Hudson River School artist Asher B. Durand (1796–1886), with whom he studied. However, after encountering the work of George Inness (1825–1894), and traveling extensively in Europe during the early 1860s where he was exposed to French Barbizon paintings, Colman's style underwent an important shift toward a more personal, evocative approach. 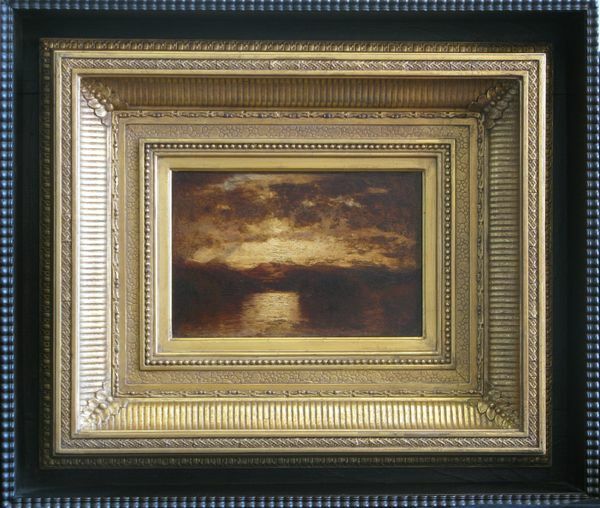 Although he developed an interest in foreign or exotic locations, popular in the late nineteenth century Gilded-age America, he also continued painting local New York scenes, such as Lake George.